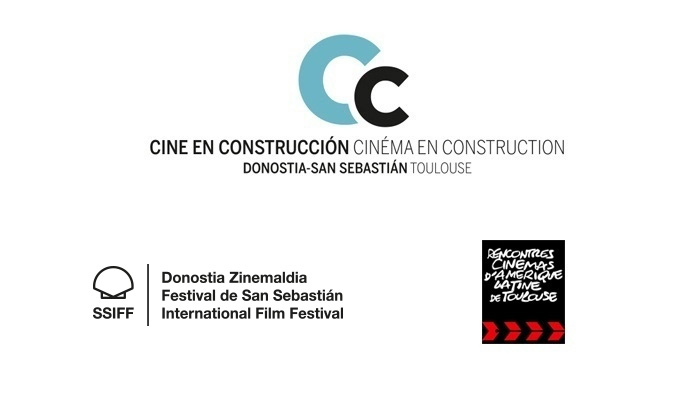 Films in Progress, the dual annual event at the San Sebastian and Cinélatino Toulouse Festivals, has opened the registration period for submitting works at Films in Progress 35. This initiative aims to help to finish off Latin American feature films that are having problems at the post-production stage. Six films selected by the committees of both festivals will be screened for an audience of professionals so that they may help to get them finished, distributed and screened at festivals. Films in Progress has helped to conclude off and market some of the most outstanding Latin American feature films and boosted the profile of new talents like Jayro Bustamante, Ciro Guerra, Emiliano Torres, Pepa San Martín, Lorenzo Vigas, Mariana Rondón, Alejandro Fernández Almendras, Sebastian Lelio, Amat Escalante, among others. In 2018, the films in Films in Progress have been selected at prestigious international festivals such as: Los Silencios by Beatriz Seigner (Directors’ Fortnight - Festival de Cannes and Horizontes Latinos San Sebastian Film Festival, where it won Spanish Cooperation Award); Marilyn by Martín Rodríguez (Berlinale’s Panorama and Horizontes Latinos at San Sebastian Film Festival); Ferrugem / Rust by Aly Muritiba (Sundance Film Festival and Horizontes Latinos at San Sebastian Film Festival); Temporada by André Novais (Locarno Film Festival’s Cineasti del Presente); Familia sumergida by María Alché (Locarno Film Festival’s Cineasti del Presente and Horizontes Award at San Sebastian Film Festival); Enigma by Ignacio Juricic (Horizontes Latinos at San Sebastian Film Festival); and Niña errante by Rubén Mendoza (Tallinn Black Nights Festival). CCAS (Caisse Centrale d’Activités Sociales du personnel des industries électriques et gazières), Commune Image, Eaux Vives, Firelfly, Mactari, Titra Film. CINE + IN PROGRESS AWARD presented by the Ciné+ channel for the French distributor of the film. EUROPEAN DISTRIBUTORS AND EXHIBITORS AWARD consisting of promoting the film through the Europa Distribution distributors’ network and the CICAE (Confédération Internationale des Cinemas d’Art et d’Essai) exhibitors’ network. The feature films, once completed, must last for longer than 60 minutes. The feature films must be at the post-production stage (at least the first cut). The cut submitted for selection must be subtitled in English or Spanish if its original language is not Spanish. The selected films will be announced at the beginning of March. The director and producer must attend Films in Progress 35, on the 28th and 29th of March 2019. The copy for screening must be in the original language with English subtitles. The screening format required is Blue Ray (three copies for back up). Films in Progress 35 is supported by the following companies and institutions: Bureau des Tournages Toulouse: agence d’attractivité; Caisse Centrale d’Activités Sociales du personnel des industries électriques et gazières (CCAS); Centre National du Cinéma et de l’Image Animée (CNC); CINÉ +; Commune Image; Confédération Internationale des Cinémas d’Art et Essai (CICAE); Conseil Général de la Haute Garonne; Eaux Vives; l’École Nationale Supérieure d’Audiovisuel (ENSAV); Europa Distribution; Firefly; Gaumont Wilson; La Cinéfondation; Le-Lokal Production; Mactari; Mairie de Toulouse; Producers Network (Festival de Cannes); Région Occitanie / Pyrénées-Mediterranée; Signis; and Titra Film; and the collaboration of Europa Creativa MEDIA; Programa Ibermedia; Ad Hoc Estudios; Deluxe Spain; Dolby Iberia; Laserfilm Cine y Video; Nephilim producciones; No Problem Sonido; Wanda Visión; and Film Factory.